Use this SCSI enclosure to make an external drive from an internal hard drive, CD-ROM drive, Zip drive or any other 50 pin SCSI or SCSI 1 drive. Case matches the Macintosh II family or Apple IIGS cases. 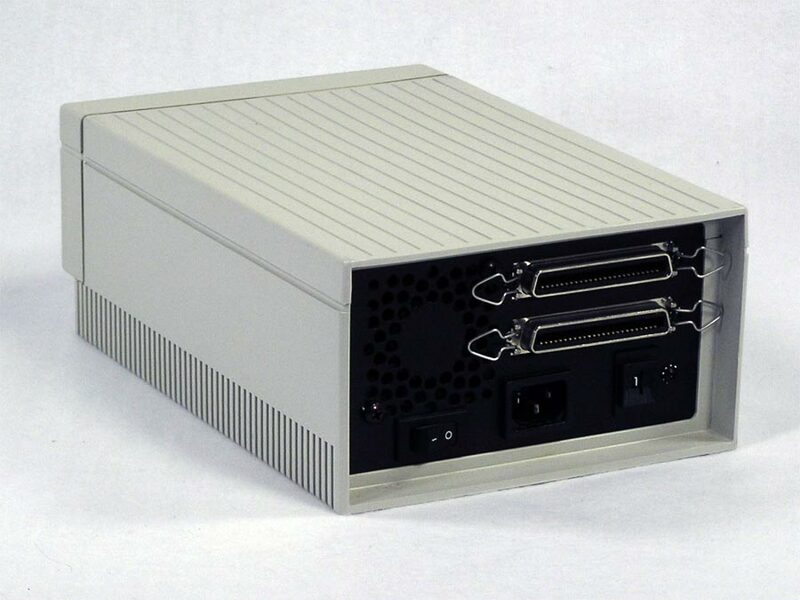 Features two 50 pin Centronics connectors, a cooling fan, power switch and external SCSI ID setting switch. The power/activity light may or may not work with your drive unless you find the right connector for it, they all seem to differ. Uses any standard computer power cable (not included). The pictured case has it’s feet, medium to severe discoloration and one of the 4 mounting tabs (for screws) on the case to rear panel is broken off. This enclosure works great and I have been using it to test cd drives and hard drives. 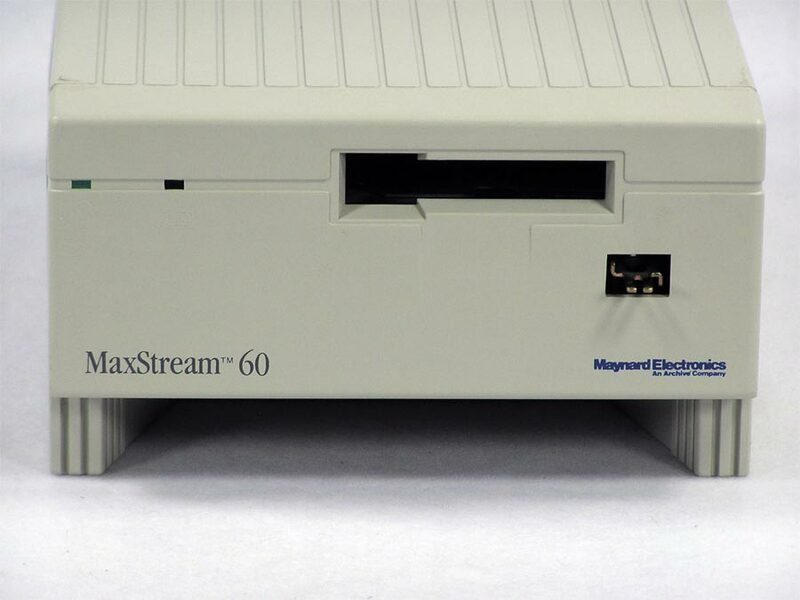 MaxStream 60 by Maynard, Model 70500. 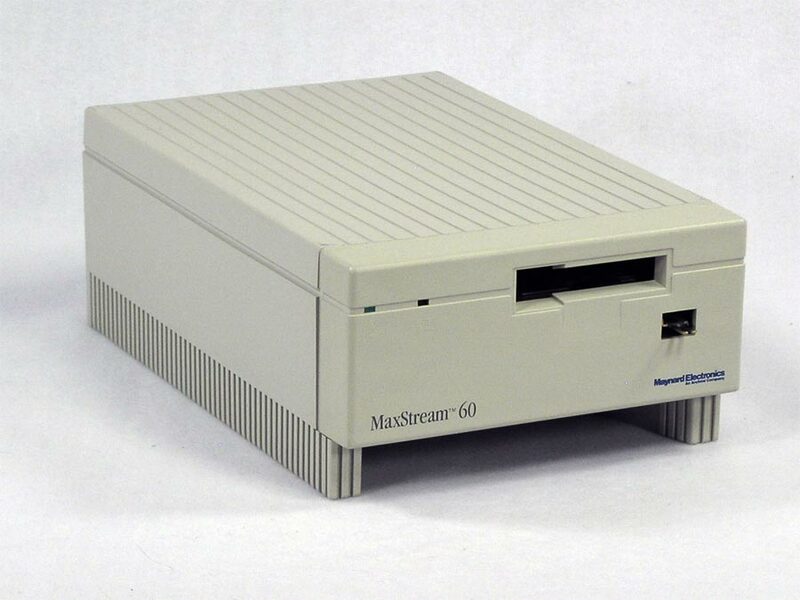 This external SCSI case is in great condition and can be used to house a SCSI hard drive or CD drive if you don’t want to use it for the original purpose – a 60MB tape backup. Tested to power on only as I do not have a tape to fit it. The power button is missing. Tape Backup Drive, Model MS by Micronet. 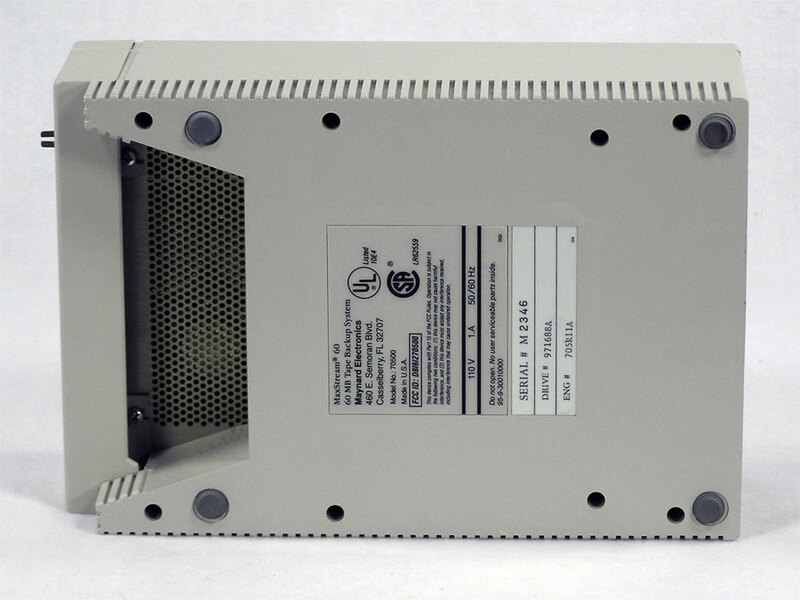 This SCSI-1 or 50 pin Centronics SCSI case, box or housing is in excellent condition. It has been tested to power on only as I don’t have any tapes. It can be used for it’s original purpose or use the case to put a SCSI hard drive or CD drive into.